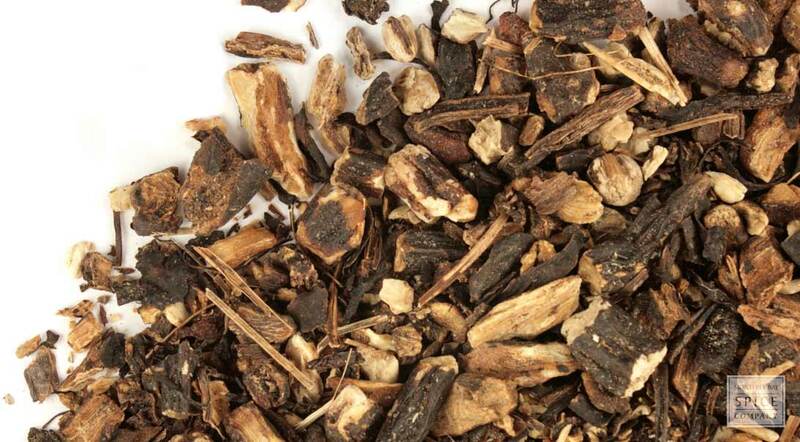 Comfrey root is a traditional English garden herb with old-fashioned charm due to its pretty bell-shaped flowers. Because the root was once carried to ensure protection from mishap for those away from home, comfrey became known as the "guardian of travelers." The plant contains alkaloids that make comfrey root unsafe for internal use, but may be used to produce infused oils, creams and other topical products. storage tips Store in an airtight container away from direct heat, light and humidity. cosmetic Use powdered comfrey root alone or in combination with other herbs to make infused oils, soaps, lotions, liniments and salves. safety Do not use on broken skin or take internally. 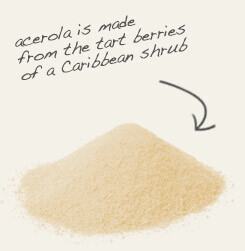 Add to cosmetic formulas with acerola, the powdered form of vitamin C.
Fill a tea filter sock with cut comfrey root to easily make a decoction in simmering hot water. Comfrey is a time-honored herb with a history of use that spans at least 2,000 years in southeast Asia. The plant was also widely used and cultivated by Europeans, who introduced comfrey to the New World in the 17th century. 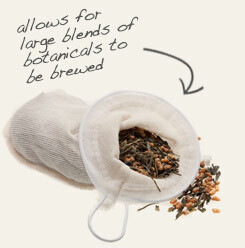 Today, the herb is now distributed throughout much of North America in pastures and wooded areas. It is also often grown as an ornamental garden plant. Although comfrey was used to produce teas and infusions for hundreds of years, the presence of more than half a dozen pyrrolizidine alkaloids in the leaf and root pose a risk of liver toxicity to animals and people. The root, in fact, contains up to 16 times more pyrrolizidine alkaloids than the leaf. The traditional use of comfrey in topical formulations, however, is supported by various tannins, rosmarinic acid and, most notably, a compound called allantoin. The latter is used in the manufacture of toothpaste, shampoo, sun screen lotions and other cosmetic and pharmaceutical products.